Figure 1. Close-up image of the Shaver portrait of Eleanor Powell Haynes. Eleanor’s brother, Robert W. Powell, was a lawyer and merchant who served two terms (1841 – 1845) in the Tennessee senate. He died in New Orleans, Louisiana, in 1855. Eleanor’s other brother, Joseph Powell, Jr., was a militia officer who raised a company of volunteers for military service during the Cherokee Removal. He subsequently resigned his commission and served as personal secretary to the Cherokee chief Bushyhead. Another brother was John A. Powell, a physician who moved to North Carolina and married a Cherokee native. Eleanor’s brother, Garston Powell, was also a physician in Taylorsville (now Mountain City), Tennessee. 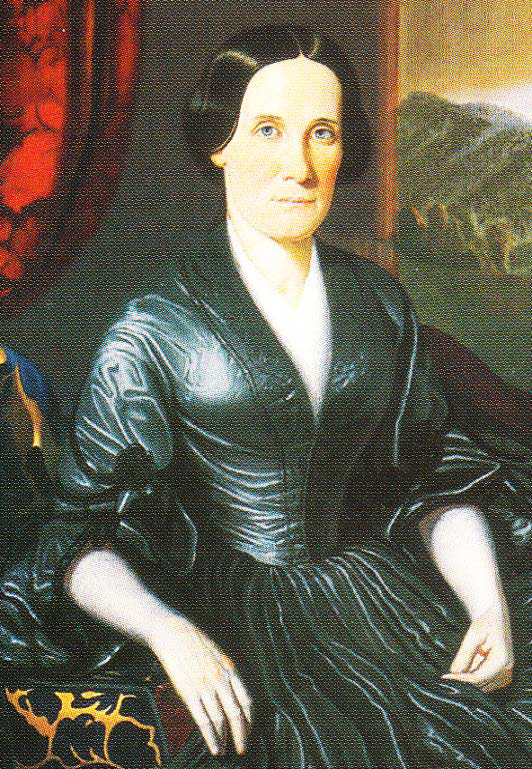 Her sister, Ann Powell, married Isaac P. Tipton, grandson of Colonel John Tipton of Washington County, Tennessee. Figure 2. Close-up of a photograph of Eleanor after the Civil War. Unfortunately, little is known about the life of Eleanor. When Landon died in 1875, it is believed that she moved to Jackson, Tennessee to live with her youngest son, David, until her death. In the 1880 Federal Census, she is listed as living with him in Jackson. The date and year of her death is unknown, along with her gravesite. Landon and Eleanor Haynes had several children: Robert Walter, Joseph Eugene, Ann Helen, Mary Alice, Landon C. Haynes, Jr., and David. 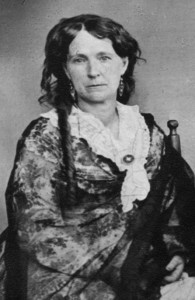 Robert married Eleanor’s second cousin Drucilia “Drusie” Cornelia Powell in 1863.